Ships today, 04-23-2019. Choose USPS Priority for delivery in 3-5 days. Order in the next 8 hours, 41 minutes and 1 second for same day shipping. Our Rhode Island notary stamp uses the approved layout for the State of Rhode Island. The MaxLight XL2-185 pre-inked stamp has a maximum text plate size of 1-1/16" x 2-7/8" allowing you to create up to 5 lines of customized text. 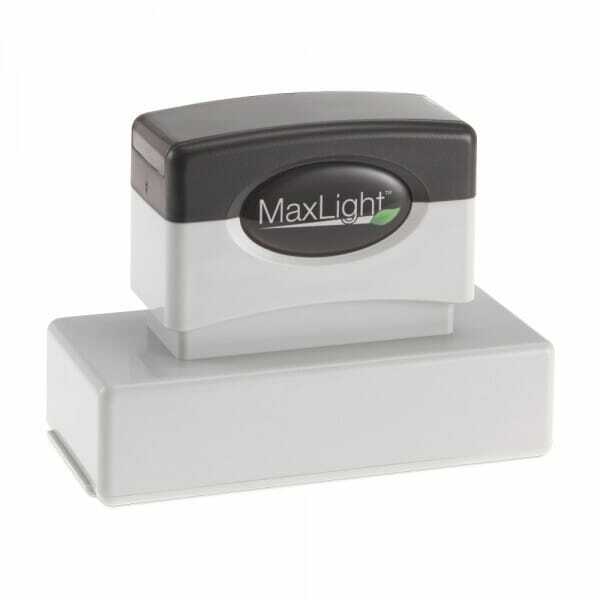 The XL2-185 is perfect for creating notary stamps. Customer evaluation "Rhode Island Notary Pre-Inked Stamp - 15/16 x 2-13/16"